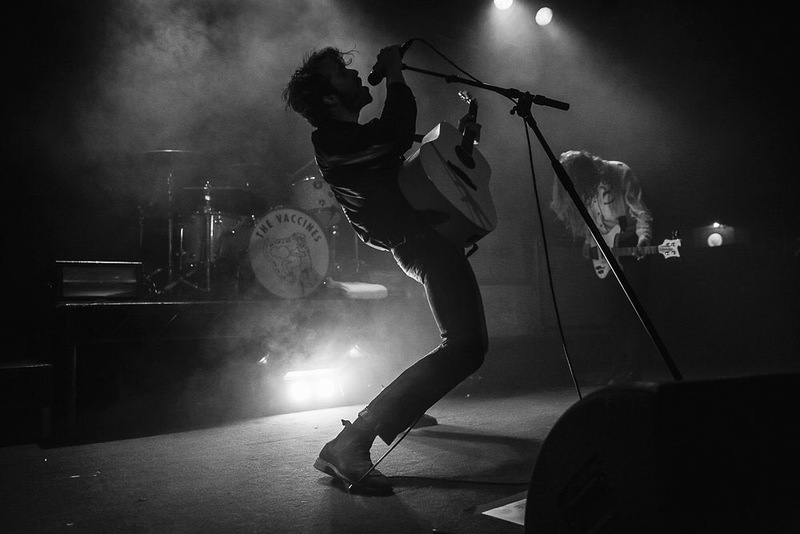 Last year saw the release of The Vaccines’ much-anticipated third studio album, English Graffiti, which was co-produced by Dave Fridmann and Cole MGN in upstate New York and saw a dramatic change in direction for the band. Previously, the West London four-piece had been praised for their short, sharp, pop-punk hits, earning them a reputation of timeless rock’n’roll. This led to favourable comparisons to bands such as The Ramones and The Strokes. 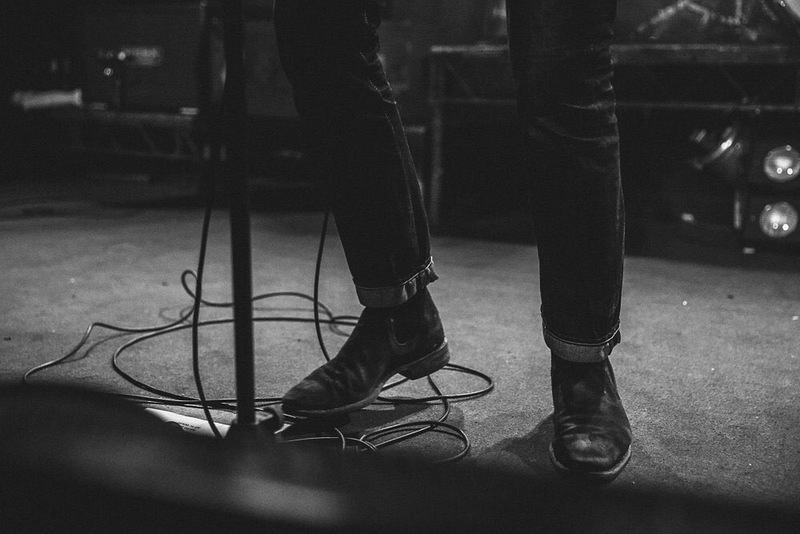 However, frontman Justin Young has since rejected the idea saying that “being timeless is not necessarily a good thing” and stated that he wanted English Graffiti to “sound important to 2015”. The transition from the raw, powerful Come Of Age era to the more production based sounds of English Graffiti was met in 2013 with the four-track Melody Calling EP which acted as a bridge and allowed the band to begin openly embracing modernity for the first time. Speaking in an exclusive interview last year on the subject of new music, Freddie Cowan (lead guitar) told NME they are interested in the idea of releasing two or three records a year, stating: “we have actually got more to come from this chapter”. So what can we expect from The Vaccines’ follow-up to English Graffiti? So far, no new music has been released by the band since May last year… however, last November, I was fortunate enough to privately watch the band practise an early demo of an as-of-yet-unreleased song during soundcheck at the Brighton Centre. I spoke to the band and they told me they were excited at the prospect of playing new material, despite the fact their latest album English Graffiti had only been released six months prior to the show. The new track had all the hallmarks of a Vaccines classic and despite the fact Young was suffering from a cold, after several attempts he managed to fumble over the chorus of the repeating, self-assured “I belong here”, over a fast-paced, upbeat harmony; similar to that of the third LP’s 20/20, Radio Bikini and lead single; Handsome. The band have always shied away from entitlement however Young has recently become more openly ambitious, proclaiming he wants to be “as big as The Rolling Stones”. Both Come of Age and English Graffiti produced four singles, so we could assume this trend will be repeated. However, according to reports from Daily Star, the band are hoping to release five new songs before this summer’s festival season begins, and this does not seem unreasonable given the fact that the band’s debut WDYE spawned a whopping six hit singles. If any of the three previous studio albums are an indication, we can expect to see the release of a standard 11 track album with a run time of around 35-40 minutes in total, alongside a deluxe edition of with around 18 tracks, which could feature several demos or remixes like those found on the English Graffiti deluxe edition in 2015. Reports from Daily Star suggest that the London-based quartet will be working with Mercury Prize winner, James Ford on their forthcoming album. Ford has worked with the likes of Arctic Monkeys, Florence and The Machine, Mumford and Sons, Foals and Haim. Will there be any more Kung-Fu fighting aliens? This summer, The Vaccines are set to make an appearance at a number of European festivals such as Dour, Benicassim, Ostrava and play the main stage at Reading & Leeds for the first time in four years.